Dependence and hucksterism have rarely spoken with such confidence. The “they” in this astounding piece of oratory are of course the American backers of this most brazen of “allies” and clients. American and NATO forces bleed in that hopeless land, Al Qaeda fighters who pulled our soldiers into the Hindu Kush are mostly gone by now. Yemen, with a treacherous coastline and a proximity to the oil wealth of the Arabian Peninsula, is a more hospitable place for the brigades of terror. There is nothing of value in Afghanistan, America’s longest war has lost the rationale it had a decade ago, no American fortune hunters with shovels and pickaxes are on their way in search of gold in the bleak Afghan hills. Yet Karzai, a brazen and ungrateful client, speaks with unbounded confidence. He offers us the most peculiar of gifts—the right to stay on indefinitely, shore up his regime, and pour our scarce treasure for his family and retainers. That Afghan lion doesn’t make its own kills. 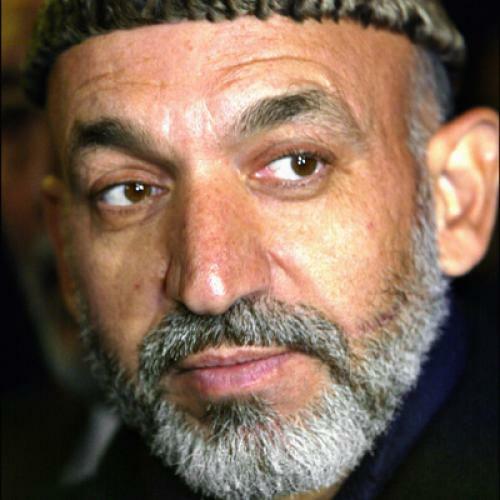 American policy has emboldened Karzai. Great wealth came to his impoverished country, and the opportunities for banditry have fed into a culture of dependence and corruption. Truth be known, neither the Karzai regime, nor the Taliban warlords, want the Americans out of Afghanistan. The treasure we pour into that country sustains the ruling cabal and the Taliban alike. We are the straight man at the bazaar, the stranger fleeced by the locals. The protection money we pay for our convoys wends its way into the pockets of the Taliban. Long ago, Afghan society had lost the ability to provide for its own people: There is no economic life to speak of, the pillars are the drug trade and the foreign handouts. It is in the interest of the Afghans that their country be seen as a dangerous land. Were we to head for the exits, the Afghans are certain to block our way with reminders that Al Qaeda is there, or could make a quick return. This is an odd kind of nationalism, one that wants to keep a foreign military presence—and deride it at the same time. Our predicament in Afghanistan is self-inflicted. We drove up the strategic rent of Afghan real estate. President George W. Bush flattered and indulged Karzai aplenty; the Obama administration’s surge in Afghanistan added to the Afghan president’s insolence. Afghanistan became the good war of necessity, a rebuke to that bad war of choice in Iraq. Iraq had been the “stupid” war, so Afghanistan must be, by default, the “smart” war. We could never discipline Karzai, nor ask of him the minimum of public decorum. He could belittle our sacrifices and get away with it. “They do give us bags of money—yes, yes, it is done. We are grateful to the Iranians for this,” Karzai said last year in a typically audacious way. The big money came from the Western democracies; Iran was next door and could buy influence with a small amount of baksheesh. After all, the Iranians have bazaars of their own and they can price things at or near what they are worth. Bags of cash, the reports from Afghanistan confirm, are hauled out of Kabul to Dubai, and there are eight flights a day to the casino and tax haven that Dubai has become. Fouad Ajami is a senior fellow at The Hoover Institution at Stanford University and co-chair of the Working Group on Islamism and the International Order.